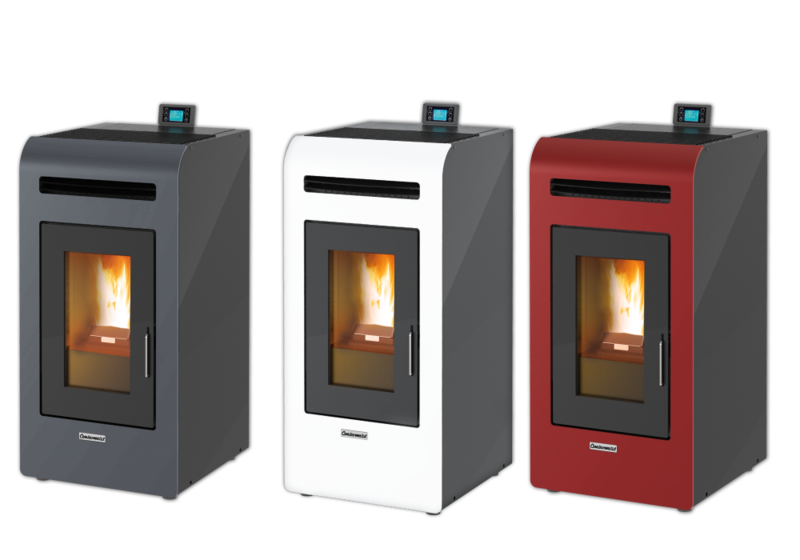 Pellet firing stoves Centropelet Z14, Z16, Z12CAN, Z14CAN, Z16CAN are hot air wood pellet firing stoves that heat the room with hot air using a fan built in the stove. They are made of steel with modern design and high efficiency.. CentroPelet Z12CAN, Z14CAN i Z16CAN have the possibility of channel hot air distribution in near rooms. The delivery standardly includes a digital control that can be used for controlling the operation of the stove.